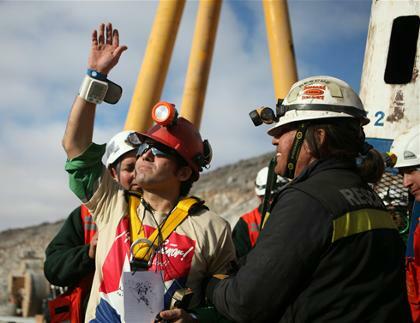 Chilean Miners bump up internet usage by 22%..
Well, I promise I won’t mention Chilean miners again, but just got this interesting little story about how everyone rushing online to watch videos of the miners coming out of those rocket pods sent internet usage up 22% on the evening of their rescue. 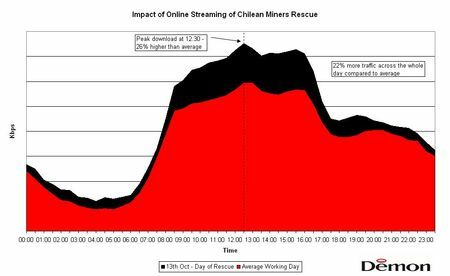 There aren’t any stats for this but I would hazard a guess that it was the one day that videos of miners were more popular than videos of kittens. Oh and according to Twitter sale of Chilean wine is up too. Basically we love the whole country and just want to hug them all.